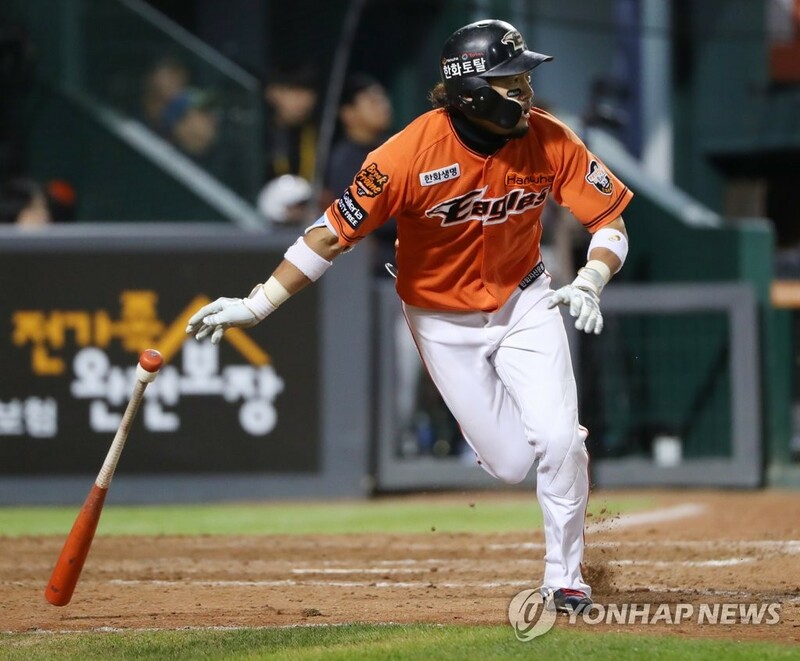 SEOUL, Jan. 30 (Yonhap) -- South Korean baseball club Hanwha Eagles on Wednesday re-signed their two free agents. The Korea Baseball Organization (KBO) club said outfielders Lee Yong-kyu and Choi Jin-hang agreed to new deals. Lee, 33, signed a two-year deal, with an option for a third season, worth up to 2.6 billion won (US$2.3 million). He will make 400 million won in guaranteed annual salary, the same amount as 2018, with a signing bonus of 200 million won. He can make an additional 400 million won in incentives each year. Lee, a speedy centerfielder who bats near the top of the lineup, batted .293 with 30 steals in 2018, helping the Eagles to their first postseason in 11 years. Choi, 33, is coming off a down year in which he appeared in just 57 games and batted .213 with seven homers and 13 RBIs. He signed a one-year deal, with an option for a second year, worth a maximum 500 million won. The Eagles are scheduled to fly to Okinawa, Japan, on Thursday to start their spring training. The team said Lee and Choi will join them on Friday. In another personnel move, the Eagles couldn't come to terms with veteran left-hander Kwon Hyuk. After being told to report to the minor league training camp, Kwon, 35, has asked to be released, though the Eagles are trying to retain him.